While ‘kawaii’ may remain one of the most recognizable Japanese phrases and cultural cliches inside and outside the country, as an aesthetic concept it doesn’t provide musicians much artistic freedom. Then Nagoya’s CHAI comes in and flips the script. An all-female 4 piece garage-pop band, they have pioneered the concept of ‘Neo-Kawaii’. This is a re-branding that embraces inclusivity and self-expression in a way that traditional ‘kawaii’ does not and can not. Basically you can succeed by ignoring expectations and following the beat of your own drummer. Find your own definition of cute, do not let the media dictate it for you. While they get a lot of press on the way they eschew traditional kawaii images, the band also packs a solid sonic punch. Their music is at once tight, polished and upbeat with well constructed, unique songs while also feeling refreshingly relaxed, playful and experimental. Lead singer and keyboardist Mana, and her twin sister and guitar player Kana bring loads of charisma and stage presence while drummer Yuuki and bassist Yuuna bring the funk. They are quirky and catchy with some serious chops. 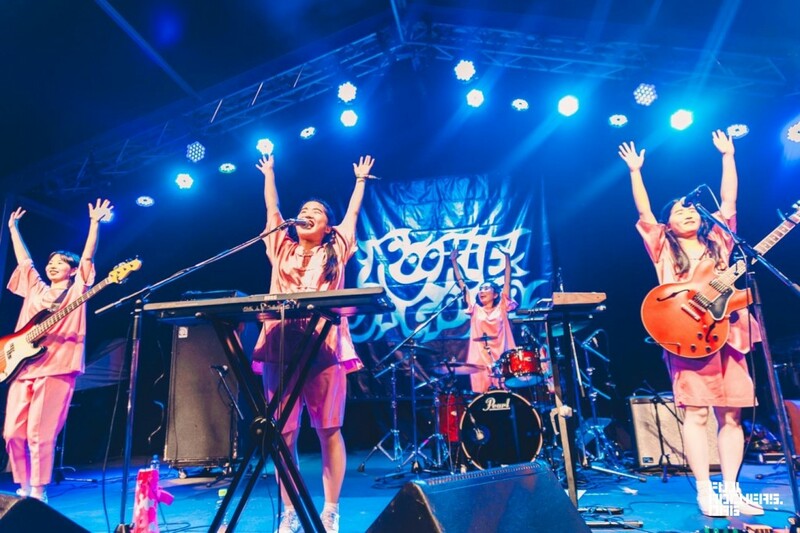 Last year CHAI took down the competition at Fuji Rock’s Rookie A Go-Go stage, and have had an eventful year ever since. They have been getting more and more international attention, even heading out to play this year’s SXSW festival. They also dropped a new EP in May (it is called Pink, you should seriously check it out). Just this month, grande dame of modern J-pop Kyary Pamyu Pamyu gave some big love to CHAI in a BBC interview, singling them out as the Japanese act she has been listening to recently, stating that they are ‘very 2018’. CHAI’s return to Fuji Rock should highlight last year’s rookie stage darling’s maturity into one of this year’s most solid acts period. Don’t miss your chance to check a rising star at Fuji Rock’s Sunday Session.